In science, a new representation of already established knowledge may lead to significant breakthroughs. One of the great examples of this happening is the “Feynman’s Diagrams”, invented by Noble Prize Laureate Richard Feynman (obviously). He invented a visual representation of a complicated mathematical structure of terms of a specific mathematical sequence, and that invention opened a door into the world of Quantum Electrodynamics, and then into many other complicated physical worlds. Every math teacher knows how to introduce prime numbers. First, one introduces numbers, then how to add them up, then – a multiplication table, then – a division, factors, and then – prime numbers as numbers which have no factors except number 1 and itself (hence, it is divisible only on 1 and itself). This approach is straightforward, functional, and effective. However, for a math teacher who – for whatever reason – wants to look beyond the standard strategy, I would like to offer this short piece (and also mention some reasons). There is simply no science without imagination. Imagination is the most important ability of a true scientists. So, let us imagine that we have an infinite source of identical squares, “a magic box of squares”, from which we can take out as many squares as we want to, and they all will be identical to each other (while reading this post, to defy the deficiencies of Google, also imagine that ALL squares are identical!). Let’s take a square and place it on a tabletop. Now take another square and also place it on a tabletop. 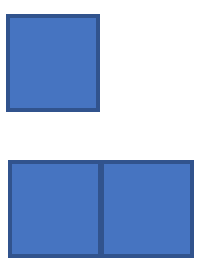 Make the squares be placed close to each other but not touching each other. What we see now is a square near another square. Now take another square and also place it on a tabletop. Now make the last square touch one of the sides of the previous square, so the squares would share a side. 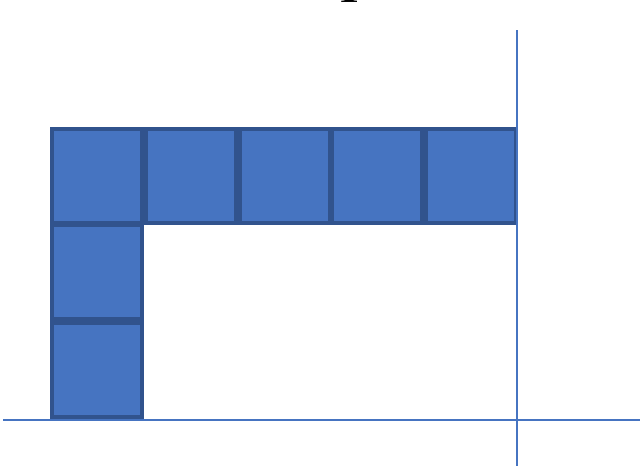 When it is done we see different sets of squares. 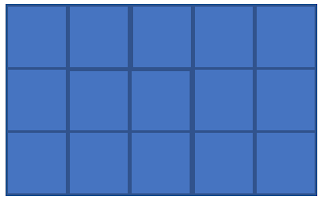 Now take another square and also place it on a tabletop, then another one and use it to make a set of squares identical to the previous one. And now take another square and make the last square touch one of the sides of the previous square, so the squares would share a side. 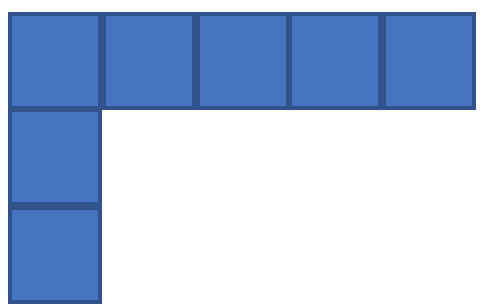 Arrange the last square in such a way so you would see a line of squares. When it is done we see again different sets of squares. At this point, if I ask you what type of new sets of squares would we see if we would keep repeating the action of taking out and placing squares in the same manner as before, everyone would immediately give an answer in the form of a picture. There is NOTHING strange or magical about it. Our brain is a very powerful pattern recognition machine. Our brain can recognize and produce patterns from the very first day to the very last day of its existence. A brain recognizes patterns by design, it is its natural property (which can be advanced by training). In order to demonstrate the process of creating sets of squares I had to use many words and construct complicated sentences. But if a teacher would just show the whole process to a kid (of a certain age) saying “Look what I am doing, can you do more?” the kid would be building the sets without any difficulty. This example shows that sometimes teaching by doing is much more efficient than teaching by explaining. Also, it shows us that a logical way of reasoning called “by induction” is basically built in into our brain. Some people believe that our brain does ONLY that – recognizes patterns. Those people believe that if they can build a computer which could recognize patterns as good as a human brain, they would build “an artificial intelligence”. Those people are wrong. A human brain is much much more than just merely a pattern recognition machine. But this is a very different discussion (for example, see this link). 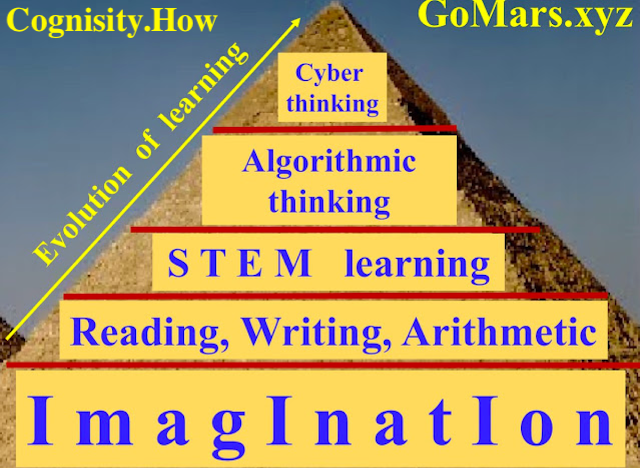 However, for every science teacher the goals of (a) helping students with the development of their imagination and (b) teaching them how to recognize patterns specific for their scientific field (the one they teach) are the most important goals of their teaching practice, more important than drilling students on memorizing and reciting facts and activities. 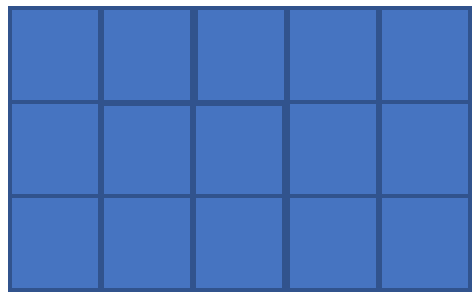 OK, let’s return to our original topic – sets of squares. Now we have (as we can imagine it) a set of sets of squares of different sizes. After learning how to build as many sets as we want to, we start asking ourselves a natural question – what can we do with those sets? Naturally, we can experimenting as much as we wish, but for the sake of saving time let’s go directly to the activities we find the most important (i.e. helpful, useful for us in our everyday practice). Let us take any arbitrary set from the sets of our sets of squares, and then again a set from the sets of our sets of squares (any set – the same as before, or different, it does not matter) and physically put them together in such a manner so they form a line of squares. and place them together in such a way so their extreme squares would share sides and all the squares would be on the same level (as we already know, showing what we want to do may be much easier than describing it by words, but I strongly recommend teachers to practice in giving a verbal description of such actions, and even more importantly, asking students to do the same). The result is obvious, it is this set. If we compare this set with the original set of sets, we see that we already have exactly same set in the set of our sets we have built before. We can repeat this action or operation again and again and we will always get the same conclusion; when we place together (in a specific manner) sets from our original set of sets, we always get a set from the original set of sets. We can repeat this action as many times as we need to study various properties of this type of operation (and develop a science later called “arithmetic”). At this point it should become clear for everyone that the language we use for describing what we do is very much cumbersome. It would make our life much easier if we would invent a new language, the language which would let us to describe our actions simpler, clearer, faster (and of course, that language has been developed many hundreds years ago). The lesson we get from this experience is the demonstration of how scientists invent new words for describing what they do (e.g. “a number”, “one”, “two”, “add”, “equal”), and those new words eventually form a very specific language. A science teacher has to be fluent in that language and has to teach students that language. For example, this is the list of the most important terms and categories that every physic teacher has to know in order to teach the first semester of Elementary Physics (borrowed from the syllabus of a full physics course, where everyone can actually read it :) ). But also a science teacher has to show students why the invention and the use of that language is important (without this linguistic practice there is no science). Another important note about language is that a person who does not know the meaning of such words like “a square”, “a set”, “a line”, “a side”, “put”, “together”, etc. will not be able to follow our instructions. Hence, in order to understand and follow instructions every person needs to have – as a prerequisite – a certain level of the language development. One of the very common reasons for students to fall behind is that the language a teacher uses for his/her instructions is “foreign” for students. 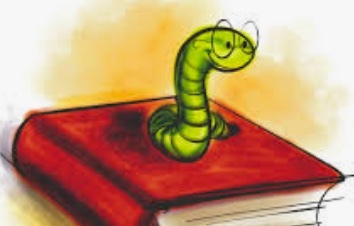 Second of the very common reasons for students to fall behind is that a teacher does not unveil the logic for making decisions about various aspects of the subject; it's just "do as I say", without "why". OK, let’s return again to our set of sets of squares and ask again, what else can we do with them? 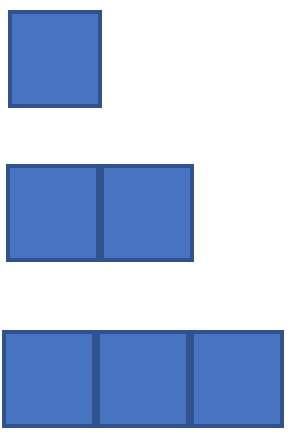 Let us take any arbitrary set from the set of our sets of squares, and then another set from the sets of our sets of squares (any set – the same as before, or different, it does not matter) and perform a complicate sequence of steps. After we select the sets we physically put them together in such a manner so they do NOT form one line of squares anymore. Instead, they form an angle. 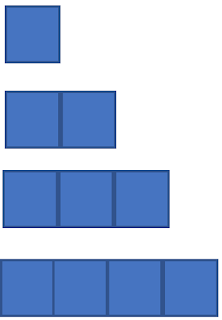 We need to place the extreme square from any set on the top of an extreme square of another set making sure that those are the only squares the sets share. and place them together as prescribed. NOW we remove the square which is placed on a top of another square. NOW we take a ruler and a pencil and draw lines which extend extreme sides of the extreme squares. We see that the squares and lines together form a closed figure. NOW we take from our “magic” source of squares additional squares and place them in such a way so they fill in the space inside that closed figure (between the lines and original squares). NOW we rearrange all the squares we have in one line. This is the final step of our operation (procedure, action). 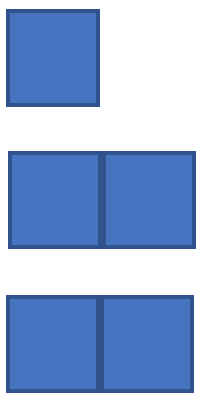 Clearly, in the end we again have a set of squares from the original set of sets of squares. To summarize, we selected a set, then we selected another set, then we performed a complicated operation and in the end we have again a set. Now, we can repeat this type of manipulation as many times as we want to and investigate the properties of this operation. One of the questions we can investigate is what sets from our original set can be produced as the ending result of such an operation? To answer this question we can routinely check all possible sets with all possible sets and mark all the sets achieved in the result. We immediately see that using a square as a set to perform the operation with another set leads to a trivial result, namely that another set (in a closed figure left after a top square is removed simply there is no empty space need to be filled). Hence, we exclude the trivial case from our consideration. Further investigation eventually shows that no matter what sets we use (outside of the trivial case) there are sets of squares among our original sets which are never get marked. No matter what sets we use (outside of the trivial case), after marking all set we get in the end of the operation, some sets are never marked. Since those sets are strange, they look special, we give them a special name, we call them “prime sets”. The last sentence concludes our example, we have achieved our goal, we have introduced the notion of a “prime” mathematical object without using term “number”. Now we can start using our advanced mathematical language. Basically, what we did we introduced a set of natural numbers. Then we introduced an operation we call now “addition of natural numbers”. Then we introduced an operation we call “multiplication of natural numbers”. Note, that those two operations have been introduced independently, we could have skipped “addition” and go straight to “multiplication”. When “multiplication” is defined, we start multiplying all numbers by each other and see the result. And we see that some of the numbers from the full set of the natural numbers never appear as the result of “multiplication” (of course, if we do not use number 1). Those numbers we named “prime numbers”. 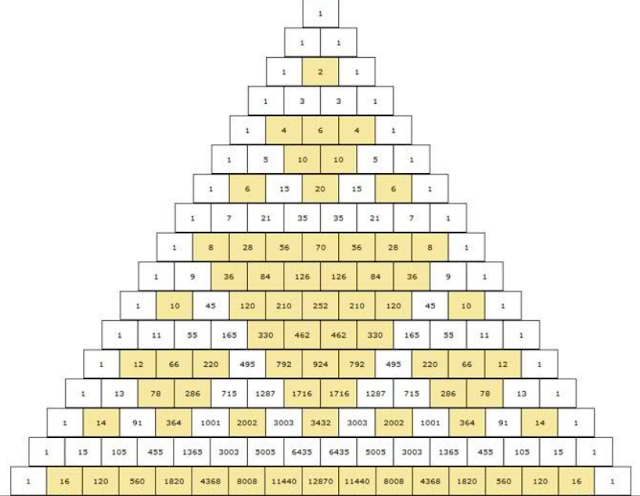 It is interesting to see a relationship between a standard arithmetic representation of numbers and our “geometric” representation. If we calculate the initial and the final perimeter for both figures, we see that in the rectangular form the perimeter is smaller than in the linear form (assuming the “area”, i.e. 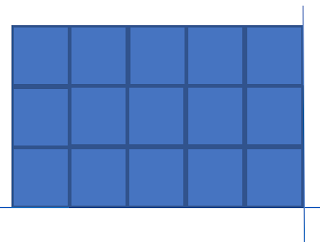 the number of squares, remains the same). in the rectangular form P = 5*2+3*2=16 lines. Prectangular = M*2+K*2 = (M+K)*2. If M > 1, and K > 1, hence M*K+1 > M+K. It is interesting to see that for a non-prime number the rectangular form always provides the minimum value for the perimeter of the figure formed by a given number of squares. However, by the definition of prime numbers, the figure with the minimum perimeter never has a shape of a rectangle. Hence, if we take a number of squares and try to rearrange it making the figure which has the minimum value for its perimeter, if that shape is not rectangular, the number is the prime number. In other words, if from N identical squares we cannot make a rectangle, number N is prime. 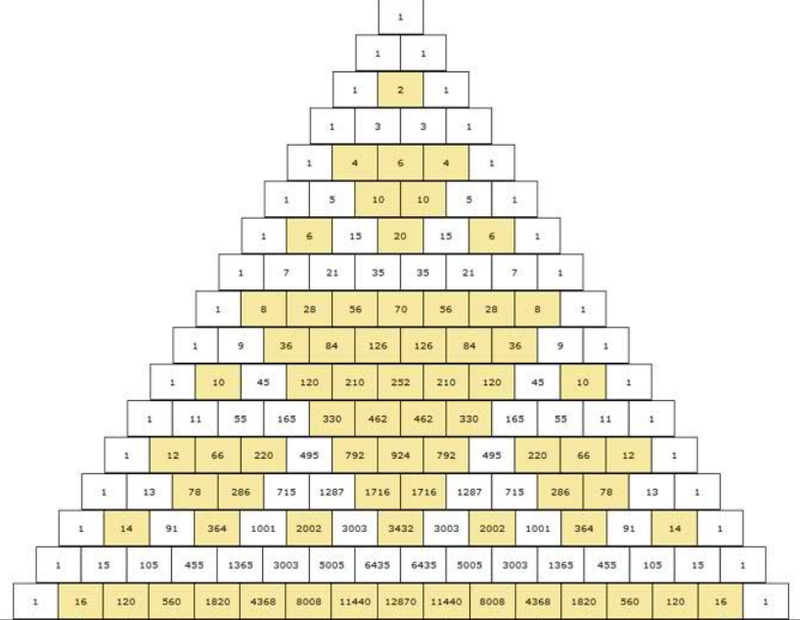 This is an interesting geometrical property of prime numbers. It would be interesting to see if this property of prime numbers can be used to quickly identify if an arbitrary number is a prime number or not (but, since I am not proficient in the number theory, this quest is outside of my current knowledge). It also would be very interesting to find some kind of a physical representation of this process. For example, a lattice of atoms, with some atoms arranged in a line all in the same state, and then atoms with the same state start forming a rectangle, keeping the total number of atoms with the original state the same.